I think it's safe to say I'm a creature of habit when it comes to my layering choices, I'm either a blazer or leather kind of girl. But when I found myself throwing the same old topper over this skirt I decided it was time to change things up, enter my old denim favorite. Add a pop of print and it's a whole new look, which is exactly what my new skirt needed. Gorgeous! This look is such perfection, I love the leopard print paired with the stripes! Too cute! Got to love a great jean jacket. 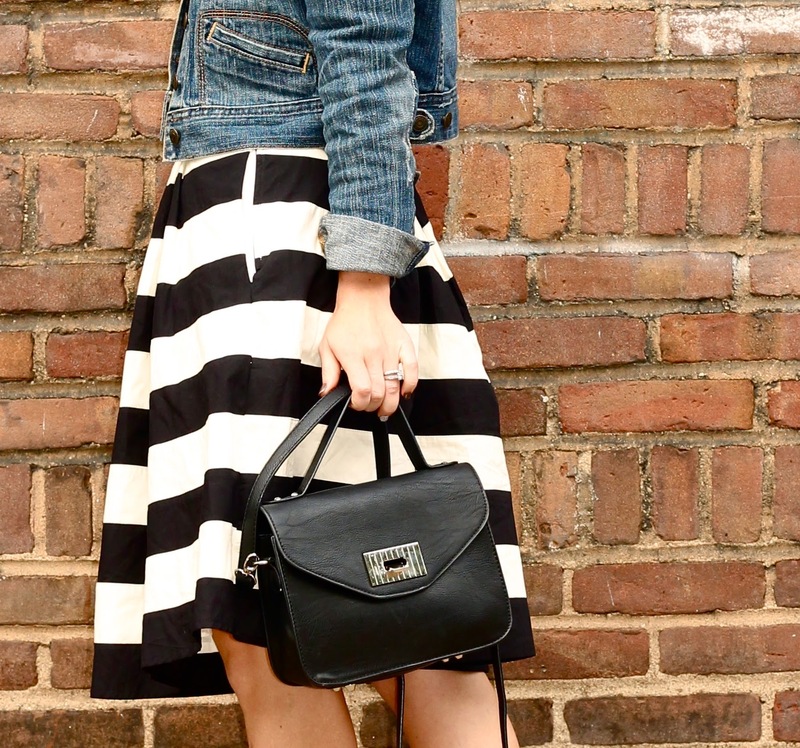 That skirt is so fun, and you can never go wrong with a good denim jacket. SUCH a fabulous skirt, Megan... it actually looks like a dress, I love it. And how you've made it look great with a beanie I'll never know! !